Introducing Teranex Express, the world’s first real time SD, HD and Ultra HD broadcast up and down converter! Featuring advanced patented algorithms, Teranex Express gives you visually transparent quality conversions and are mandated by major broadcasters and studios worldwide! You get an incredible 178 SD, HD and Ultra HD conversions in full 10-bit quality complete with audio, closed captions, timecode and more! Imagine converting your SD to HD all the way up to Ultra HD in real time for presentation on massive outdoor LED displays, digital signs and live concerts or sporting events! Teranex Express is perfect as a dedicated up and down converter between broadcast equipment in television studios, and for remastering older SD and HD tapes into Ultra HD. You can even use Teranex Express in outside broadcast vehicles to up or down convert and synchronize video feeds instantly for live broadcast! Featuring the familiar Teranex 2D and 3D control panel, Teranex Express has all of the controls you need at your fingertips. The built in LCD monitor lets you easily navigate menus and see source format and frame rate with live video, so you don’t have to use an external monitor. 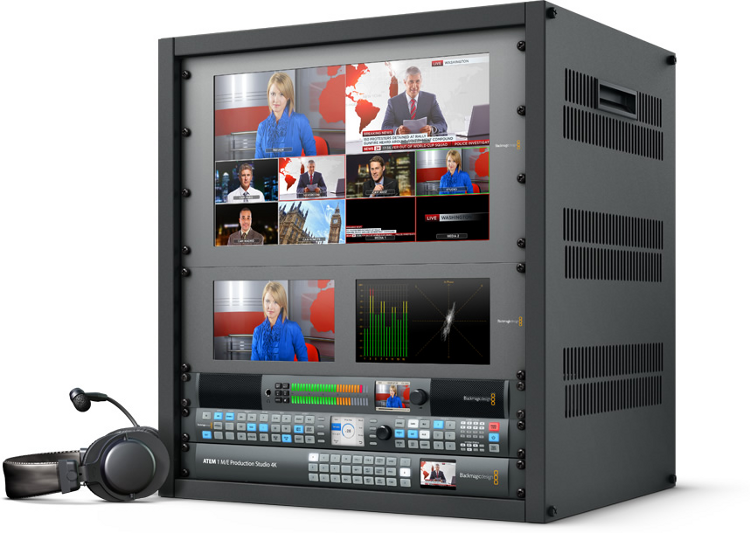 With an elegant machined metal front panel, its compact 1RU size and built in international power supply, Teranex Express not only looks great in your studio, but is also perfect for portable racks and outside broadcast vehicles. 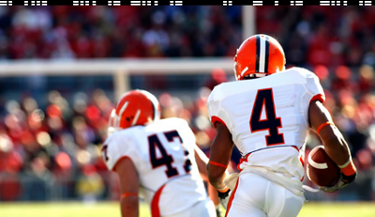 Teranex Express can perform an incredible 178 up/down conversions between SD, HD, and Ultra HD in real time. You can use Teranex Express for video conversions or to synchronize non genlocked, external feeds, or cameras into switchers for live production. Conversions retain timecode, include closed caption data, and always maintain perfect audio sync so your video is immediately ready for editing or broadcast. Teranex Express features the most advanced broadcast connections, including the world's first 12G-SDI that is compatible with all of your existing SDI equipment. The genlock input lets you synchronize signals between equipment and for larger studios, you can install an optional fiber optic module that lets you run video from up to 28 miles away. Teranex Express is the world’s first broadcast converter to include multi-rate 12G-SDI connections. That means it can switch between 12G-SDI, 6G-SDI, 3G-SDI, HD-SDI and SD-SDI making it compatibile with all of your existing SD, HD, and Ultra HD equipment! 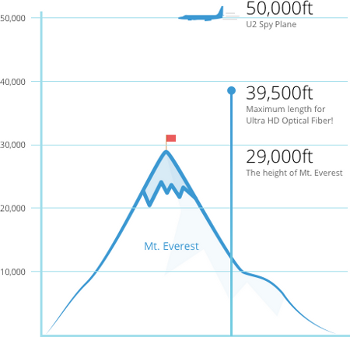 These connections can transfer data at an amazing 12 gigabits per second, making them fast enough to support progressive Ultra HD video at up to 60fps. That means Teranex Express will be able to support emerging formats when they become available, making it the most expandable and future proof solution you can buy! Teranex Express features the advanced processing technology developed and patented by Teranex, which allows instant calculations on thousands of pixels simultaneously! You get full 10 bit processing, extremely high quality de-interlace and new optical quality Ultra HD scaling algorithms that interpolate images in real time with amazing detail, sharpness and clarity without artifacts. That’s why Teranex conversions are indistinguishable from the original source video! 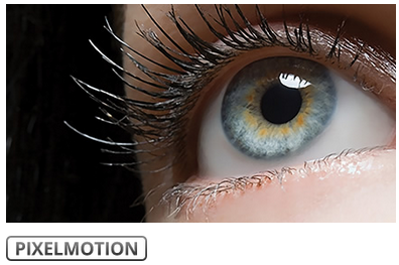 Teranex’s proprietary and patented PixelMotion deinterlacing algorithms create perfect progressive frames for conversion by adjusting the aperture on a pixel by pixel basis. That means you get improved image quality because the vertical resolution is maintained. PixelMotion deinterlacing preserves source detail and, when combined with multi direction diagonal filters, eliminates jaggies on conversions so you get well defined edges and the sharpest images possible! 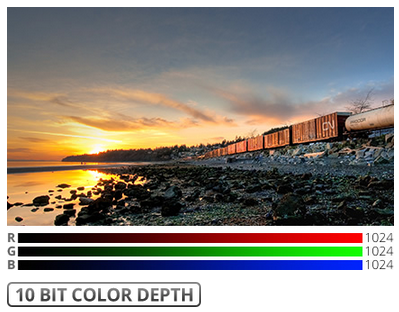 Adjust color, aspect ratio and more! Now you can quickly and easily find the tools you need to correct color, convert formats or change aspect ratio! 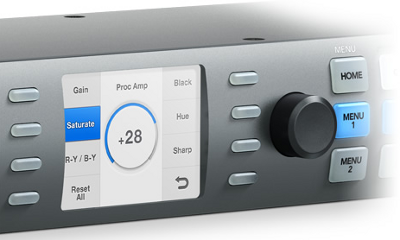 Teranex Express features a logically designed front panel and soft menus so you can adjust luminance, saturation, hue, black level, R-Y/B-Y color difference, sharpness, and more with the built in proc amp controls. 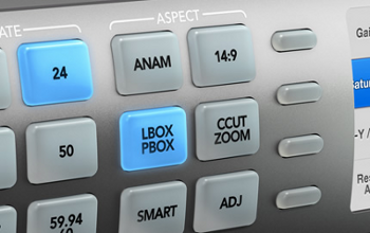 Teranex Express features an integrated LCD screen on the front panel so you can make adjustments with confidence during live broadcasts. Video includes a lot more than images, and Teranex supports conversion of up to 16 audio channels plus timecode and closed caption VANC data. Teranex Express is also compatible with Dolby encoded audio, so it never has to be decoded or re-encoded during up and down conversions. With Teranex Express your subtitles are always retained and both audio and timecode always stay in perfect sync with your video! Teranex is asked for by name worldwide! Teranex processing is so well known for quality that it has been mandated globally by many country’s broadcasters for converting video. Because of its patented 10-bit processing algorithms and high quality deinterlacing, Teranex conversions look perfect, making distribution simple and problem free. The real time conversions for live, post and broadcast! Teranex Express features all new optical quality resizing algorithms. 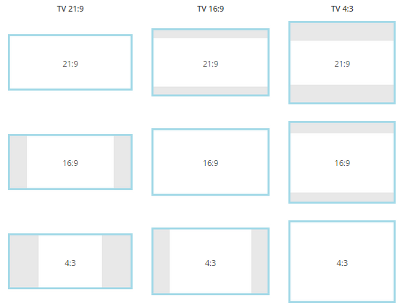 That means you get beautiful up conversions for displaying video on massive 4K screens. You can shoot audience reactions with HD cameras at your event and then use Teranex Express to up convert in real time! Teranex Express is ideal for live events, such as concerts, conferences and worship services, where you need to convert different sources for output to projectors and HD displays! You never know what clients will walk through the door with, so need to be ready for anything. With support for 227 different real time up and down conversions, Teranex Express lets you convert between SD, HD, and Ultra HD for your clients without waiting! 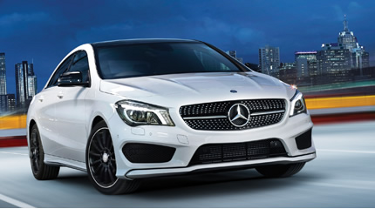 Patented PixelMotion technology and multi-direction filtering means you get clean, sharp conversions that are visually indistinguishable from the source. Teranex Express is the fastest and highest quality way to convert between SD, HD and Ultra HD formats! Broadcasters can use Teranex Express to handle all of their SD and HD conversions now and in the future it’s ready for Ultra HD! This means you can migrate from HD to Ultra HD as you integrate more equipment into your studio. 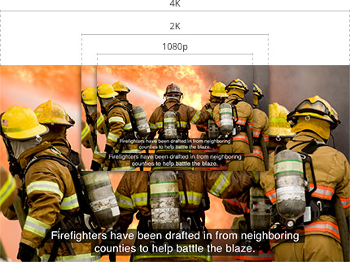 And because Ultra HD and HD are the same aspect ratio, you don’t need to worry about reframing. Teranex conversions are renowned for preserving image quality and detail. That means you can up or down convert in realtime and get the highest quality broadcast video! Teranex Express features a machined aluminum design that not only looks great in your studio, but also provides exceptional durability for installation in broadcast trucks and portable racks. You get a compact 1 rack unit design with built in LCD monitor, familiar Teranex control panel that’s easy to use and broadcast quality connections for 24/7 reliability. Teranex Express features an easy to use front panel which has been precisely designed to put all of the conversion options you need at your fingertips. The panel includes an integrated LCD screen for previewing video, and control buttons that light up to indicate the status of each conversion. And because Teranex Express shares the same front panel design as Teranex 2D and 3D, you’ll be able to start using it immediately! Teranex Express includes SDI connections that are dual link so you can convert between single link 12G-SDI and dual link 6G-SDI. The built in SDI connections are also multi rate so they can switch between SD, HD, and Ultra HD television standards. The built in reference input gives you the option to synchronize incoming video signals from cameras or other sources. There’s also an industry standard socket so you can install an optional optical fiber module which allows you to run video up to 28 miles using low-cost fiber optic cable. 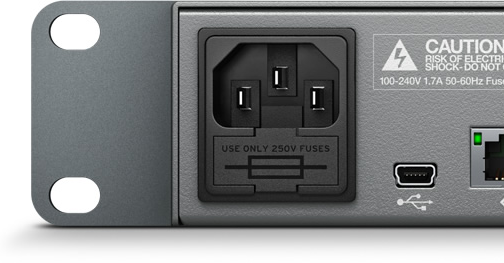 Teranex Express includes a built in 110/240V international power supply with a standard IEC connection so you can use it anywhere in the world. The international power supply is perfect for when broadcast trucks and mini racks used in different countries because all you need to do is source a local power cord and Teranex Express will switch voltage automatically. Teranex Processors provide more conversions than any other solution! 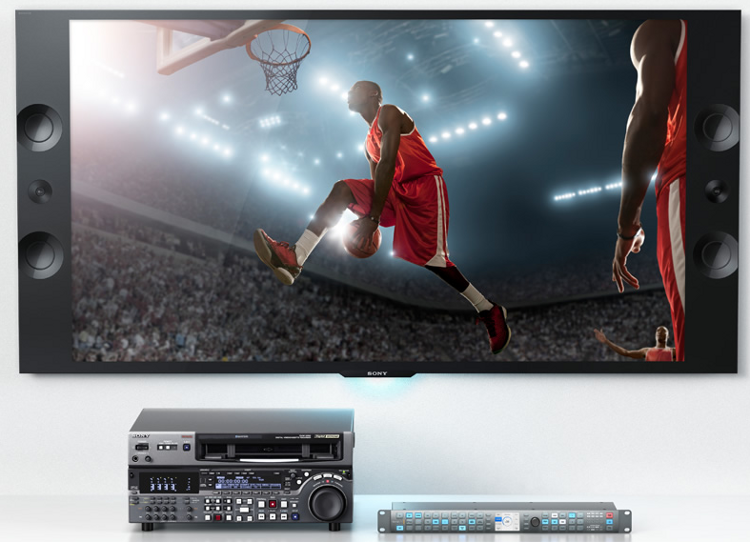 The incredible new Teranex Express lets you seamlessly up and down convert between SD, HD, and Ultra HD formats. That means you get incredibly high quality realtime conversions that are virtually indistinguishable from the original source! Teranex quality starts with one of the world’s highest quality and most precise de-interlacers. 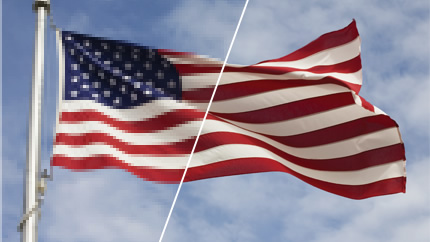 Teranex features proprietary and atented PixelMotion de-interlacing algorithms so you get improved image quality by maintaining vertical resolution. Teranex is known for legendary image quality and Teranex Express takes it even further. With all new real time, optical quality scaling algorithms that simulate an optical zoom, you get images with amazing detail and clarity that look better than ever before possible. When converting between SD, HD and Ultra HD, Teranex features sub-pixel processing and multi-directional diagonal filters so “jaggies” are eliminated and you get clean looking video! Teranex Express includes a complete set of Proc Amp controls that let you adjust luminance gain, black level, chroma saturation, chroma hue, R-Y/B-Y color difference values, and sharpness. That means you can adjust source feeds and make corrections in real time during conversions! Teranex Express supports a wide range of fixed aspect ratios as well as color fill. That means you can convert between 4:3, 16:9 and more in real time! All Teranex Express conversions maintain and support up to 16 channels of embedded SDI audio that can be duplicated and routed while maintaining perfect sync! 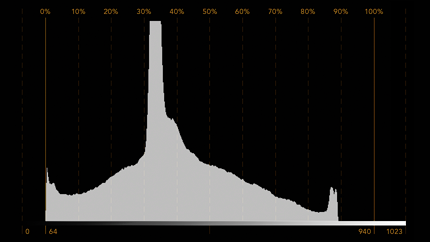 Levels can be adjusted during conversion and out of sync audio signals can be corrected with a delay of up to 1 second. Teranex Express also supports the pass through of Dolby audio during conversion so it never has to be decoded or re-encoded, and always remains in sync with your converted video. Teranex Express features the latest technology and innovative features to give you the highest quality realtime SD, HD and Ultra HD conversions! Inside you’ll find advanced technology like 12G-SDI to handle everything from SD all the way up to emerging formats like Ultra HD 60p! There’s optical fiber for running video over long distances, high quality 10-bit image processing, and support for 16 channels of embedded audio, subtitles, AFD/WSS data and more. Teranex Express packs all of this technology in a rugged 1RU design that can be used virtually anywhere! 12G-SDI Switchable multi rate up to Ultra HD 60P! 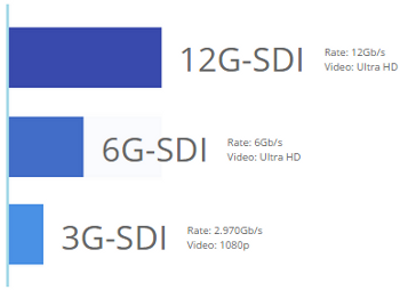 12G-SDI provides an incredible 12 gigabits per second of throughput, that’s about 8 times faster than HD-SDI, and sets a new standard for SDI connectivity! Just like 6G-SDI, it’s compatible with all of your SD, HD, and Ultra HD equipment. You can output Ultra HD over a single cable and because of the increased bandwidth, 12G-SDI will also support new emerging formats, like high frame rate Ultra HD 60P, as they become available! Closed Caption data is now mandatory in many countries for traditional broadcast distribution and, increasingly, distribution of content over the internet. 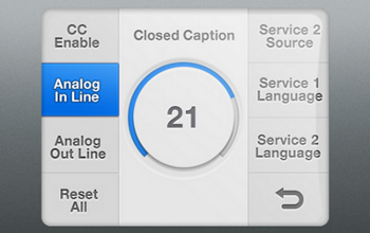 Captions are usually stored as ancillary data embedded into an SDI stream. Teranex Express understands the different types of Closed Caption data found in SD and HD video streams, and will preserve and convert it into the proper CEA-608 or CEA-708 format for your output video. 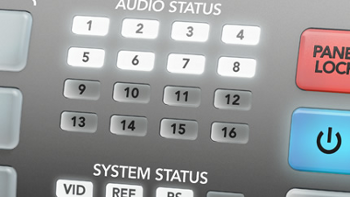 SDI signals can contain up to sixteen mono channels (or 8 stereo pairs) of 48 kHz 24-bit audio. SDI signals with embedded audio can be run over traditional coaxial copper cable, or over optical fiber cable. That means you get perfectly synchronized, professional quality audio embedded with the video over a single cable that can be patched, routed, or distributed around your facility! 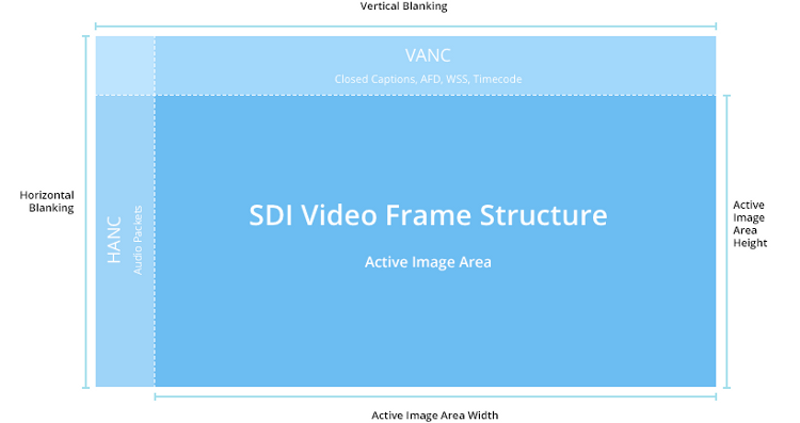 Active Format Distribution (AFD) and Widescreen Signaling (WSS) are a standard set of codes that carry information about a video signal’s aspect ratio and active picture characteristics. AFD is often used in the generation of WSS and tells your display how to best present the video that it is receiving. Teranex Express preserves AFD and WSS information during the conversion process, so that means your screen will automatically select the correct aspect ratio for video playback. 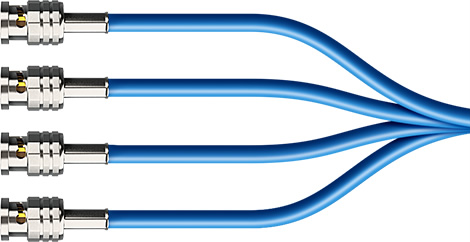 1x (IN A Loop) – Reclocked, 10-bit SD, HD, 2K, 3 Gb/s HD, 6 Gb/s and 12 Gb/s UHD switchable1x (IN B Loop) – Reclocked, 10-bit SD, HD, 2K, 3 Gb/s HD,6 Gb/s UHD switchable. 1x 10­bit SD, HD, 3Gb/s HD, 2K,UHD switchable. 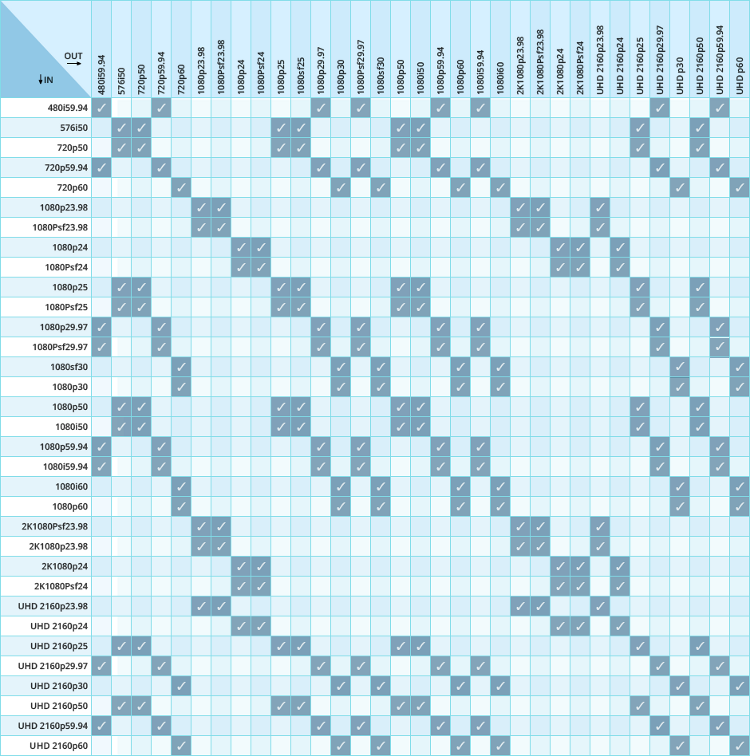 16 channels in SD, HD, 3Gb/s HD,2K and UHD. Dolby AC-3 pass through in all conversions. Dolby E pass through except during video frame rate conversions. 720p50, 720p59.94, 720p60, 1080PsF23.98, 1080p23.98, 1080PsF24, 1080p24, 1080PsF25, 1080p25, 1080PsF29.97, 1080p29.97, 1080PsF30, 1080p30, 1080i50, 1080p50, 1080i59.94, 1080p59.94, 1080i60 and 1080p60. 2048 x 1080PsF23.98, 2048 x 1080p23.98, 2048 x 1080PsF24 and 2048 x 1080p24. 3840 x 2160p23.98, 24, 25, 29.97, 30, 50, 59.94, 60. 525 NTSC, 625 PAL, 720HD, 1080HD, 2K 2048 x 1080 and Ultra HD 3840 x 2160 switchable. Real time up conversion, down conversion.